(Columbia, SC) Kwame Alexander, the Virginia-based poet, educator, and New York Times bestselling author, has been selected as the first recipient of the Conroy Legacy Award. Created in honor of the example set by the beloved Southern author Pat Conroy, the Conroy Legacy Award was established in 2017 to recognize writers who have achieved a lasting impact on their literary community, demonstrating support for independent bookstores, both in their own communities and in general, writing that focuses significantly on their home place, and support of other writers, especially new and emerging authors. "I met Pat once," said Alexander on being informed of his selection, "He was witty, connected, caring, and a brilliant storyteller–as much in person as he was on the page. He was all the things a writer should want to be. All the things I've wanted to be. I am filled with wonderment and humbled deeply to be honored in his remembrance." 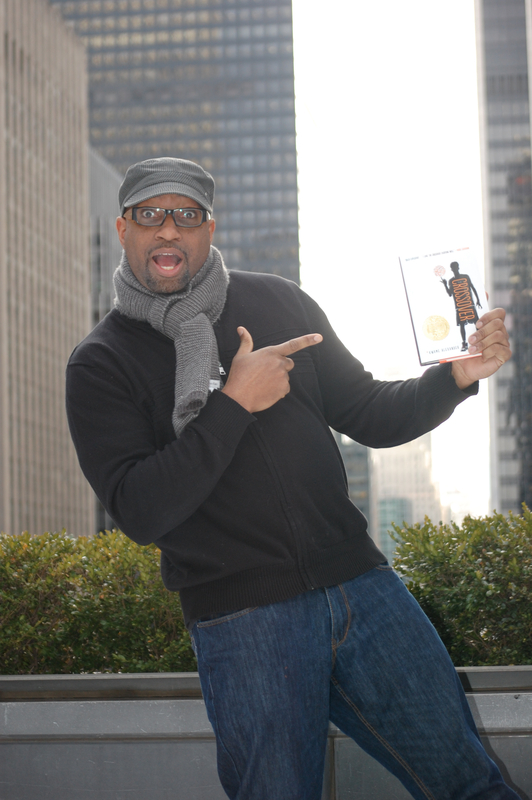 Kwame Alexander was chosen to be the first Conroy Legacy Award winner by a jury of Southern independent booksellers. Alexander is the author of 24 books, including The Crossover, which received the 2015 John Newbery Medal for the Most Distinguished Contribution to American literature for Children, the Coretta Scott King Author Award Honor, The NCTE Charlotte Huck Honor, the Lee Bennett Hopkins Poetry Award, and the Paterson Poetry Prize. Kwame writes for children of all ages and believes poetry can change the world. "Kwame Alexander is at the forefront when it comes to mentoring the next generation of writers, not just in the US but worldwide," says Hillary Barrineau, of Hooray 4 Books in Alexandria, Virginia. "He won a Newbery Award , which means not only The Crossover but also many of his other 23 books [essays, collections, poetry, and novels] are in every school and library in the US. Notably, they are set in Virginia, where he was born and raised, but clearly resonate with readers everywhere." "When he visits schools across the country," she continued, "he makes a point of coordinating when possible with the local indie bookstores to provide the books at his events. The year he won the Newbery, he attended our bookstore's "Grand Expansion Party," driving here directly from his daughter's wedding earlier that day." Alexander also spearheads the Page to Stage Writing Workshop, which has created more than 3,000 student authors in nearly 70 schools in the US, Canada, and Caribbean, and he recently led a delegation of 20 writers and activists to Ghana, where they built and stocked a library and trained 300 teachers to promote literacy in that country. "We are thrilled to have Kwame Alexander as our first Conroy Legacy Award recipient," said SIBA Executive Director Wanda Jewell. "He is exactly the kind of writer the award seeks to honor. Our booksellers love his books, his support of independent bookstores is well known, his commitment to his own community and to fostering a love of writing and literature–especially among young people–is legendary. I think Pat Conroy would be very pleased." Both a donation to the Pat Conroy Literary Center and a donation to a literary entity close to the heart of the writer will be made in the name of the Legacy Award recipient.